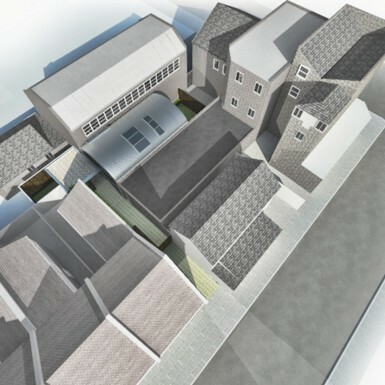 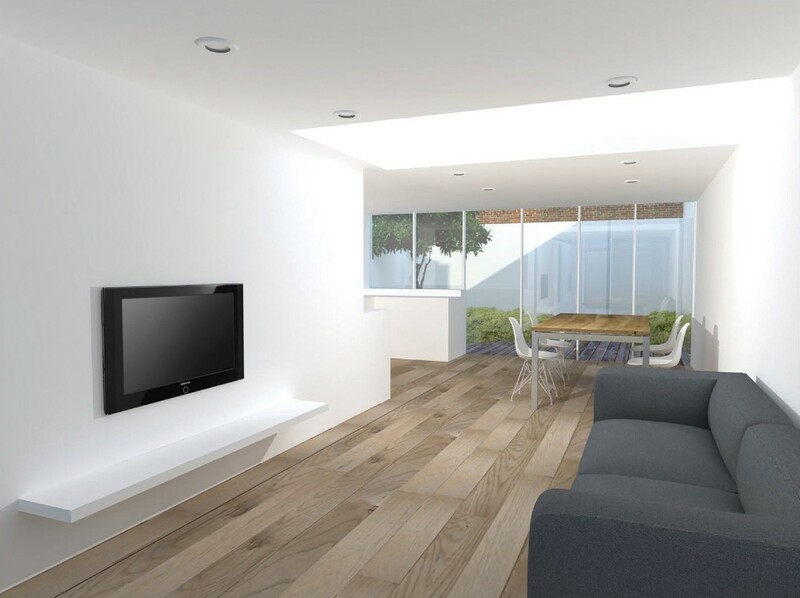 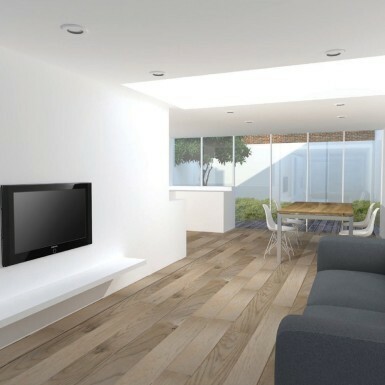 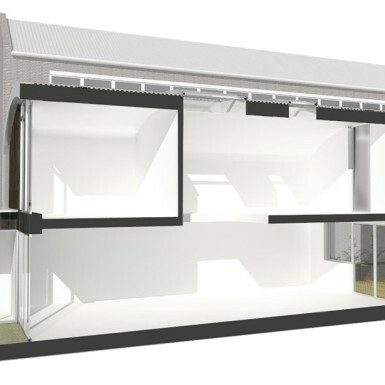 Located at the rear of a High Street in South London; this proposal is for the maximisation of a back-land which benefits from a mews access from a side street. 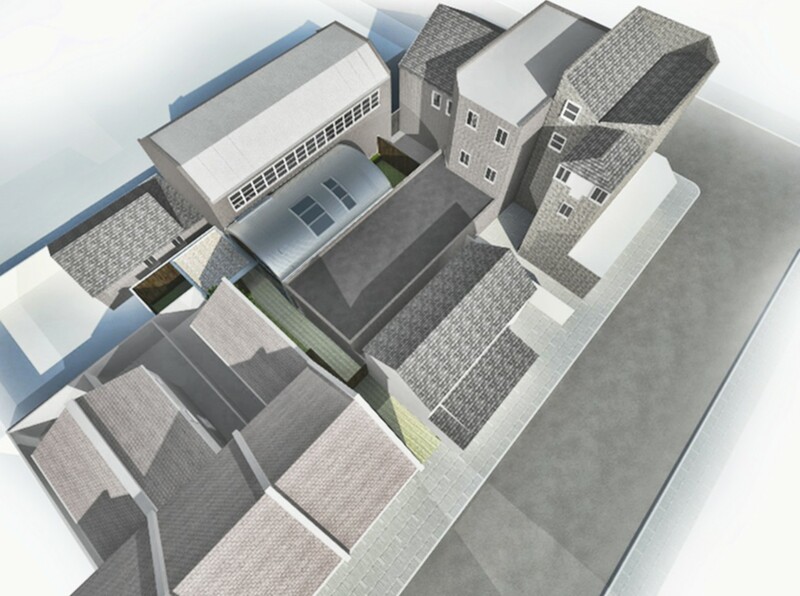 A two storey bedroom house was conceived; with a gently vaulting structure; springing from a vantage point as to avoid any negative impacts on amenity and outlook to immediate neighbouring buildings. 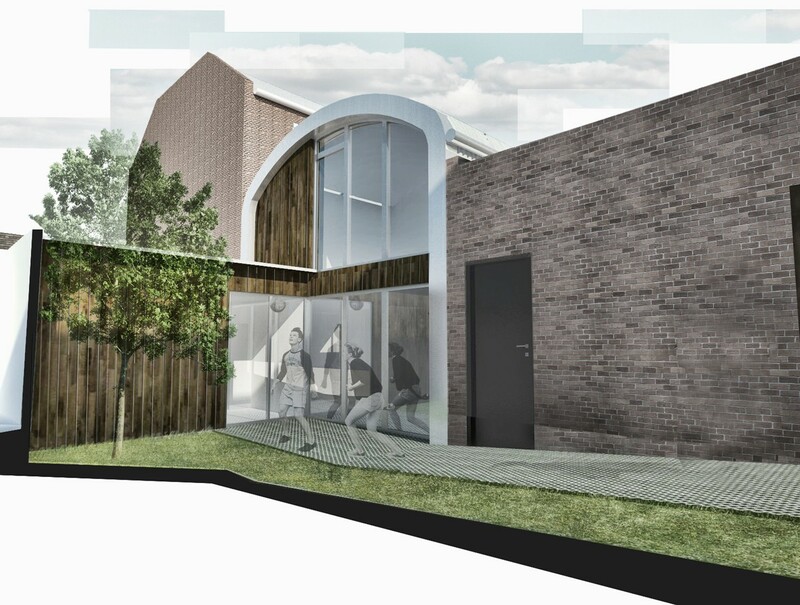 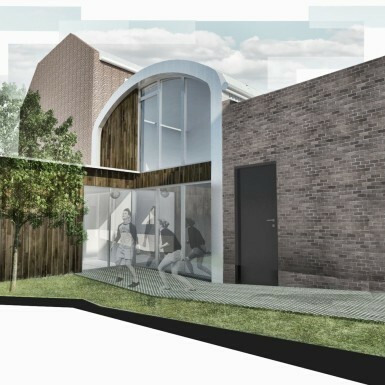 The proposed architectural intervention is a contemporary yet sensitive barrel-vault form that avoid clashing with any other existing massing; yet providing the envelope for a good size family home which enjoys a series of private courtyard gardens interspersed throughout the massing.